The great thing about putting together these photo spot round-ups is that it has forced me to really pay attention while I drive around the city and search for not just the pretty things, but also the oddly beautiful places. I’m always looking for cool spots in unlikely nooks; places that aren’t necessarily your obvious and safe “instagrammable” location. Places, that if you shot there, would test your creative eye, and force you to make something truly your own, and not a duplicate of what’s already out there. That’s what it means to me to be truly creative. So whether you dig these spots or not, open your mind to something brand new, that you haven't scrolled by a million times already. Ya dig? 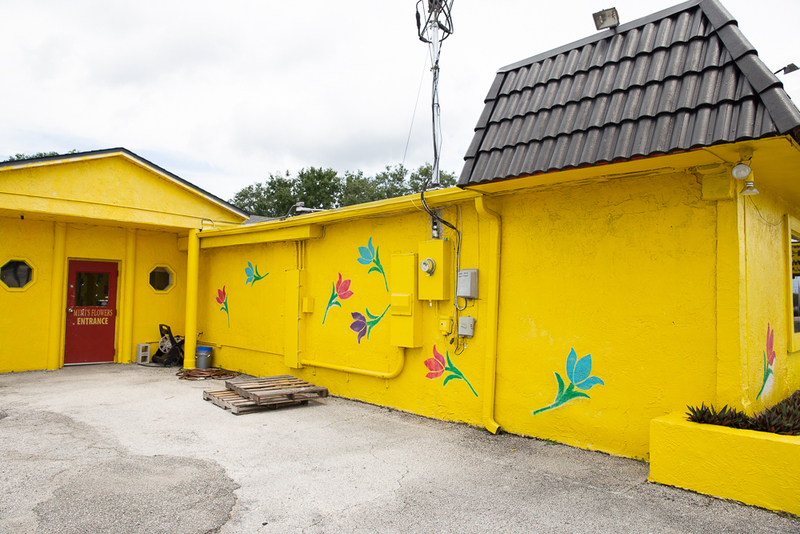 Located on 17-92 near O'Brien Road, this abandoned flower shop is bright yellow with some colorful floral details. There is currently no tenant inside, so you can really take your time getting pictures around the bright yellow exterior. 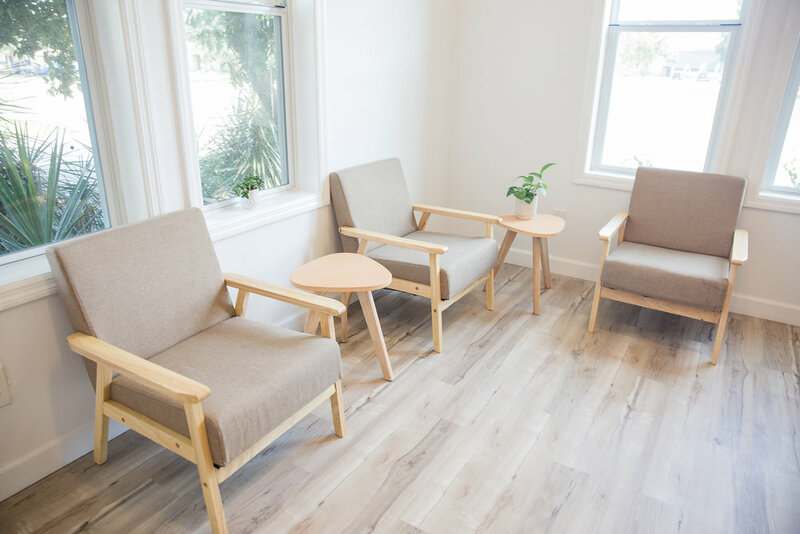 You probably already know about this adorable coffee shop in downtown Windermere (especially if you are a fan of Panther Coffee), but if you haven't gone lately, you may not know they had a small remodel. The front room, once where the bakery case was, is now another seating area ripe for coffee shots as well as a new back patio. Be a good customer and make sure to buy a coffee! My model was the beautiful and smart (and soon to be my doctor one day) @nubianaliloutee. These pink apartments are tucked away on N. Lurcerne Circle. Besides being the very popular shade of millenial pink, this building has a very cool art deco design. It did appear most of these apartments were lived in, so I can't imagine they love people snooping around the property. If you go for pictures I would be quick and respectful. This coffee shop in Longwood serves great drinks and has a neutral/minimal design if that is your aesthetic. The drinks and desserts are quite picture worthy themselves. Great natural light and a sweet simplicity make this a great corner to snap a few pictures while ALWAYS patronizing the business. It’s actually not cute at all to walk into a coffee shop for a picture and then leave. Never ever. Located in the Milk District off of Primrose near Robinson you will find Liberty Barber shop. While the art on this local business is pretty rad, always respect the property and don't take up the minimal parking spaces needed by actual customers during the day. Skating rinks have always been cool, that’s why Leslie threw Ben a 90’s themed party at one; but they are even cooler when they are stuck in an 80’s trance with all the brightly colored trappings of “rink pink”. I can’t work a lewk quite as flawlessly as Kaylyn of @leptocephalus, so I figured I would feature her while I practice a few more times before I share my own pink carpet wall stance. Also her Instagram is pretty dope, you should check her out. The "it was all a dream" wall at Craft & Common might become one of the most Instagrammed walls in Orlando. The entire shop is cute, and they just added a bold coffee sign outside on the white brick. Lots of cute photo options here and maybe just the best vanilla chai I’ve ever had. The newest Foxtail location hosts a large outdoor patio in the back where you will find this large mural for plant lovers to pose in front of. Can't afford a trip to Itay to make everyone at home feel bad while you eat gelato and pose by the Amalfi Coast? You can recreate basically the same thing over on Curry Ford Road on the side of this Income Tax building near Warwick Place. Boom. Thousands saved and no FOMO. You're welcome. This lush backdrop hides right behind Gratitude Coffee in College Park. Jenny actually DM’d me to tell me about it as a photo spot. She’s the cutest. Artist Tony Philippou blessed the corner of Edgewater Drive and Princeton with one of his original works of art. With Princeton being such a busy street, patience is needed here to get a shot without any cars, or you can get up close for a colorful selfie. While you are there, stop in Grounding Roots in the same building and grab a juice! It may not seem photogenic to you, but I love grungy wall. I'm not really one of those standing in a field of tall grass kinda gals. This one is all the way at the back of the building that Stasio's Italian Deli is in off Robinson in the Milk District. Work those dark texture while playing Evanescence on your phone. Update: This wall has been painted. Yes, I’ve now become that person that pulls over on the side of the road if I see something I think is cool. The latest was this large, and seemingly abandoned building at Semoran and E. Colonial. Mainly I liked the messy pops of blue. If you've never heard of Dance Trance, it's a super fun fitness business where you are led by an instructor and dance all the calories away. It's a great way to work up a fun sweat and forget you are working out. The exterior got a fun paint job, perfect for a fitness inspired picture. Dance Trance is located in College Park on Edgewater Drive. As you can see it gets some pretty harsh shadows mid-day so shoot accordingly. While it's not exactly art, the very cute Till Plant trailer is usually hanging out on Mills next to Will's Pub, but that might be changing soon. I suggest you visit while the trailer is open. Snap a pic and share for all the plant lovers out there. While the inside of Credo is where you normally find an impromptu photo shoot, the back of the building has some nice pops of color that can make a create city backdrop, especially at golden hour. Give me all the hokey, large bright graphic backdrops, over the stuffy, crispy goop life any day. Semoran Skateway has that L.A. Lakers vibe outside and plenty of fun retro prints going on inside.